This G.I. A.L.I.C.E. 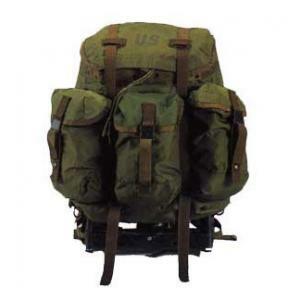 pack is made of 100% nylon, with padded adjustable shoulder straps and an aluminum frame. This item is used and comes in olive drab only.